The four day program, was held from March 7th to 11th, for the female beneficiaries of the MJF Centre Moratuwa, who were also encouraged to bring a female guest not attached to the MJF Foundation along as well. The women of the WDP had the opportunity to showcase their gained talents and skills while sharing knowledge with others. 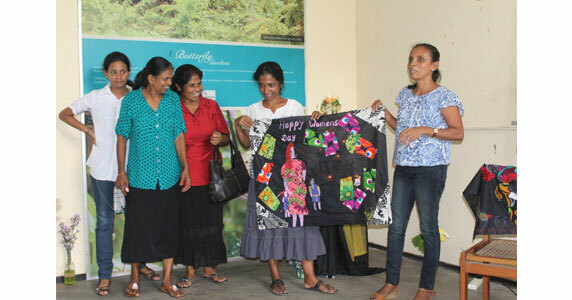 The program included sewing demonstrations, cookery demonstrations, a session on Ikebana and a presentation on the important role of women, ending with group activities. The final day was dedicated to appreciation as the MJF kids were asked to celebrate the women who are most important to them through song, flowers and cards. Each day the participants were treated to light refreshments during the two hour interactive sessions. The objective of the program is to help women to appreciate themselves and the important role they play in the homes and society.